The target was to make an Android application to be able to make 3D pictures with an Android cellphone. Pictures should be stored in their own gallery in the cellphone and possible to watch on each standard 3D TV by means of 3D glasses. This application makes the Left-Right picture format, which needs to be watched in 3D TV or 3D monitor with 3D glasses, or with your Google Cardboard. Just by pressing of push button you can save your memories in 3D. 1) Auto focus mode or touch focus mode. 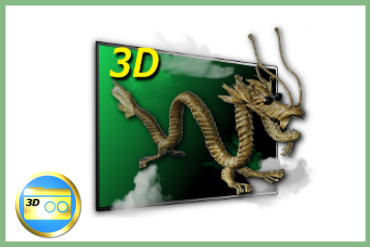 2) 3D or 2D + 3D mode - you can choose to save 2D picture or not. 3) You can review your 3D pictures in build-in gallery or share them. 4) Modify 3D pictures(adjust position, erase unwanted objects or blured parts, add 3D texts). 5) Included tips how to make good 3D photos. 6) Option to use hardware camera button or volume down button to take a photo. 7) Selection of color filters. 8) Pictures up to ultra HD (3840x2160) size. 9) Decorate 3D pictures with 3D cartoons from built-in gallery.